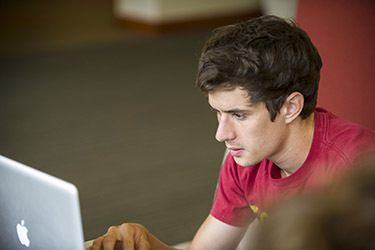 Sequence of specialized courses are offered within each program area (i.e., American sign language, business and organizational management counseling, chemical dependency counseling, marriage and family counseling, clinical mental health counseling, rehabilitation services, severe disabilities, and school counseling,). Also within the program requirements are courses offered by other departments, e.g., business administration, which enable students to broaden their knowledge base in their area of interest. In addition, students seeking a masters in counseling complete a 600-clock hour counseling internship in an appropriate clinical setting. About half of the courses are offered online (all RHB courses) at least one time per academic year giving students flexibility for other courses/responsibilities in life. All classes that take place on campus, or hybrid (Blackboard Collaborte), are scheduled for evening hours.